Looking for a Used X6 in your area? CarGurus has 2,011 nationwide X6 listings starting at $10,900. From the moment it arrived in 2008, the BMW X6 has been a controversial car. Love-it-or-hate-it styling, questionable practicality, and no clear reason as to why BMW would start building it in the first place all gave this part-coupe, part-SUV (called “the world’s first Sports Activity Coupe” by BMW) plenty of critics. There’s no doubt, however, that BMW has sold more than plenty of X6's, moving well over a quarter-million worldwide. 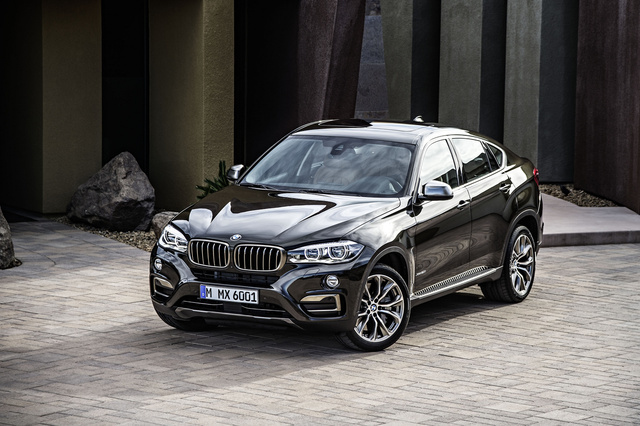 Those results are encouraging enough that BMW will expand its X-range of SUVs to include an X4 and X7, as well as introducing the second-generation X6 for 2015. Mercedes-Benz is even trying to crack into this new market with its own MLC-Class. The new X6 is not revolutionary in design or look and even has more in common with other models than its previous iteration, but it is a different and enhanced version of the automobile that it replaces. 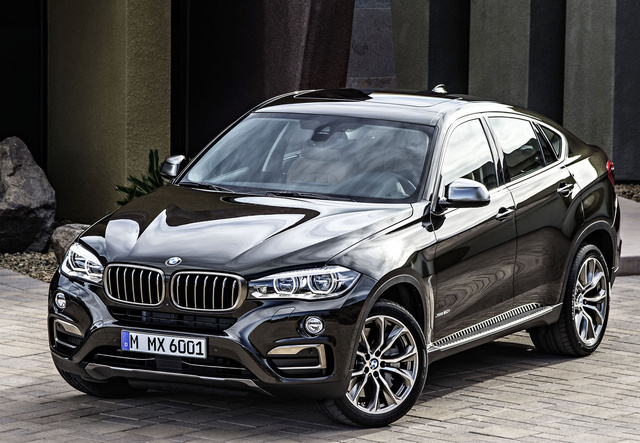 As before, the X6 shares its chassis and powertrain with the X5, but for 2015 it also shares its hood, grille, headlights, and interior with the X5 (which was redesigned for 2014), while the tail is more reminiscent of the smaller X4. Although the first X6 was often mocked because the sloped rear end essentially just chopped out cargo space from what should have been a practical automobile, the new X6 has even less room than before—53.9 cubic feet versus 59.7 in its predecessor. The 40/20/40-split rear seats do now fold flat, but 6 fewer feet is a fairly sizable difference. Also new is a 10.2-inch screen on top of the dash. The whole car has been lightened about 55 pounds, even though the 2015 model comes with extra equipment, thanks to an aluminum hood, magnesium cross brace, and other lightened components. At 5,170 pounds, though, it’s still a hefty machine. The U.S. market gets three versions of the X6: the X6 sDrive35i, the X6 xDrive35i and the X6 xDrive50i. The X6 also offers each with available in base, xLine (luxury), and M Sport option packages. The base sDrive35i is the only version available with rear-wheel drive (a first for the X6). It is powered by a 3.0-liter straight-six fitted with a single turbo and coupled to an 8-speed automatic, the standard transmission for all models (sourced from ZF). The xDrive35i is essentially the same vehicle, but with all-wheel drive. For those who want serious performance but don’t want to opt for the all-out 600 hp M6, the xDrive50i features a 4.4-liter twin-turbo V8 with 445 hp and 480 lb-ft of torque, enough to get the bulky coupe/SUV to 60 mph in just 4.6 seconds.The V6 gets to 60 in a still more than adequate 6.0 seconds. Being turbos, all versions of the X6 require premium fuel. An air suspension with adaptive damping is an available extra, as is active variable-ratio steering. Choices on the inside include plenty of wood, leather, and aluminum appointment options. Audiophiles can also opt for an available Bang & Olufsen stereo system. The rear liftgate has a handy soft-close function, and this can also be had on the doors if so desired. For safety, available extras include collision warning, lane-departure warning, and automatic braking. BMW’s Driving Dynamics Control comes standard and has different modes from Comfort to Sport+ that alter suspension and throttle response, engine management, and shift timing depending on the situation. BMW’s iDrive system is still standard and operated by the familiar circular knob, although it now has a touchpad that interacts with the 10.2-inch display screen jutting out prominently from the middle of the dash. Even as BMW looks ahead to the future with stuff like the i3, it is still building this unnecessary, but intriguing, large automobile. It's less unique now that it shares additional components with other models, and an X5 makes more sense on a lot of levels. But automobiles aren’t always supposed to make sense, even SUVs. The people have spoken with their dollars, and the X6 is popular despite its shortcomings, so it’s here to stay. Since 2012, Andrew Newton has been writing about cars both old and new. Andrew has been an associate editor at Sport Car Digest as well as a contributor to sites like BoldRide and JamesEdition. He was also the Education Manager at the Larz Anderson Auto Museum in Brookline, MA before becoming the Auction Editor at Hagerty Classic Car Insurance. He currently splits his time behind the wheel between his NA Miata, 1994 Corvette, and Triumph TR6. What's your take on the 2015 BMW X6? Users ranked 2015 BMW X6 against other cars which they drove/owned. Each ranking was based on 9 categories. Here is the summary of top rankings. Have you driven a 2015 BMW X6?